In an effort to make electronics recycling easy and convenient, Union County has worked to establish municipal drop off locations. Currently 18 towns have established sites for residents to locally recycle their covered electronics (Covered Electronics Include: Computers, Fax Machines, Monitors, Printers and Televisions). The list of municipal drop off sites along, with site locations and hours of operation are listed below. Please check their websites for a list of items accepted for free recycling. Berkeley Heights residents can bring their e-waste to the Berkeley Heights DPW yard, located at 101 Berkeley Avenue, on the first Saturday of the month from 9 am to noon. Cranford residents can bring e-waste to the Cranford Conservation Center, 210 Birchwood Avenue. Please check the link for dates and times: http://cranford.com/uploads/health/2014RecyclingGuide.pdf. Fanwood residents can bring covered electronics to the Fanwood Recycling Center, located on North Avenue. The center is open the first Saturday of the month from 8 am to 11 pm (accept items from non-residents). Hillside residents can drop off e-waste at the Hillside Public Works Yard located at 274 Hillside Avenue (rear building of the Community Center/William H. Buie Center) Monday – Friday 8 am to 3:30 p.m.
Monday-Friday 7 am – 3pm and Saturdays from 9 am to 2 pm. New Providence residents can drop off e-waste at the DPW located at 29 Park Place on the first and third Saturday of each month from 9 to 1pm. 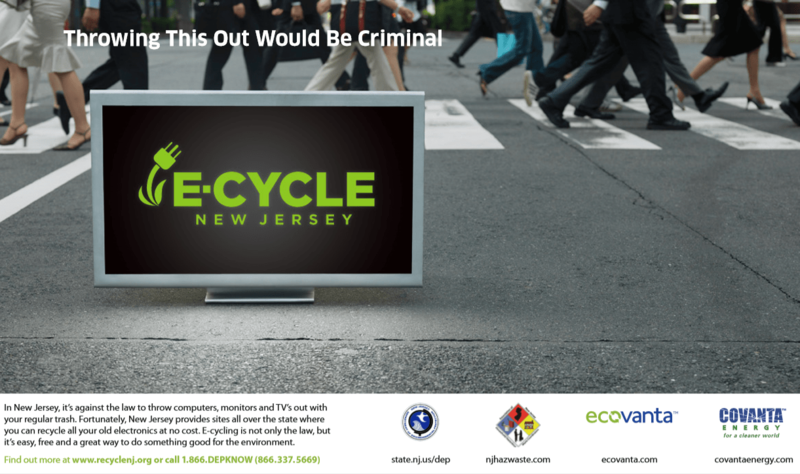 Rahway provides curbside collection for electronics. Residents must call 732-827-2159 to schedule an appointment. Schedule can be downloaded from their website, www.cityofrahway.com. Roselle Park residents can bring their e-waste to the Roselle Park DPW yard at 180 West Webster Avenue, Monday – Friday between the hours of 8 am and 3 pm. Scotch Plains residents can drop off e-waste at the Scotch Plains DPW, located at 2445 Plainfield Avenue, on Thursdays between 8am and 2:30 pm. Summit has a curbside collection program for electronics. Residents should call Summit DPW for more info. Residents can drop off e-waste at the Union DPW yard Monday – Friday from 8:30 to 4 pm. For weekend hours or large TV pick up, please call 908-686-1922. Residents can bring electronic waste to the Westfield Conservation Center, 1300 Lamberts Mill Road, anytime the Center is open. Check the website, www.westfieldnj.gov, for exact days and hours of operation. No permit required. A disposal ban that has been in effect since January 1, 2011 bans computers, monitors, laptops portable computers and televisions from being disposed of in the garbage. Use our electronic recycling events and resources below to help you in your disposal needs.